One dessert that many people enjoy is cake. Today there are so many different cake flavors and options from fondant to butter cream frosting. A type of cake that has becoming really popular lately is the poke cake. This is a cake that you bake like a regular cake, then poke holes in after so you can pour a yummy mixture over that will seep into the holes giving you a delicious cake. 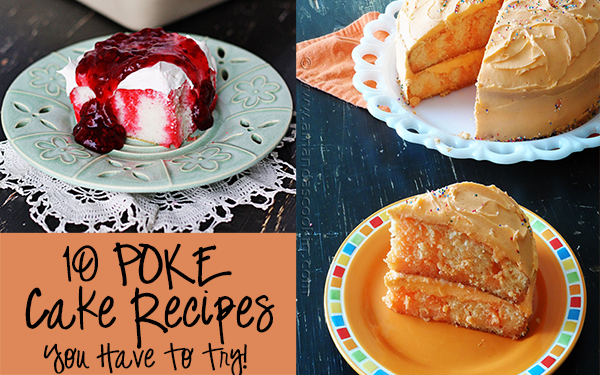 Thanks for sharing two of our poke cake recipes!